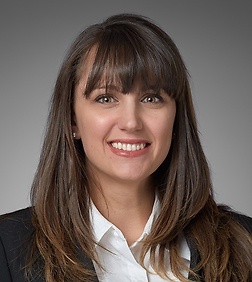 Stephanie Sweat is an associate in the Real Estate, Land Use and Environmental Practice Group in the firm's Orange County office. Ms. Sweat focuses her practice on joint ventures, acquisition and development financing, commercial leasing, and acquisitions and dispositions, representing REITs, borrowers, developers, landlords and tenants, and a variety of funds. Prior to her current practice, Ms. Sweat represented lenders in an assortment of acquisition, development, construction, and permanent financings. Represented lender in connection with a real property acquisition and construction loan for the development of a hotel. Represented self-storage REIT in connection with real property diligence component of an acquisition of multiple self-storage facilities. Represented lender in the refinancing of a construction loan for a multi-family project. Represented REIT in the acquisition of farm land and development of an industrial building. Represented landlords and tenants with the negotiation and preparation of retail and industrial leases. Represented REIT in the acquisition of a partially developed industrial park in southern California.